My husband and I recently spent our honeymoon at the Ritz Carlton in St. Thomas. 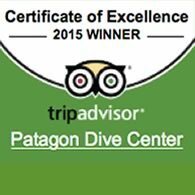 This was only our second time diving, and the staff at Patagon was top notch. We did two days of boat dives and saw some incredible sights including gorgeous reef, numerous fish, a shipwreck, as well as eagle rays and a shark. We would highly recommend this dive shop and certainly plan to come back in the future! Thank you so much to Kelli and her wonderful staff for such a great experience my first time back diving. Kelli went above and beyond taking her personal time to help both my father and I get re-acclimated to diving and the dive team was incredibly kind and knowledgeable. For sure the place you want to go for first time diving. Stayed at the Ritz and had a young lady (Kelly) offer to show us what Scuba is all about. Before I knew it - we were "hooked" and we signed up for an introductory class. What a great way to spend Valentine's Day with the family. Our instructor Dave was really great. My oldest daughter wants to be a marine biologist so the rest of us just went along for the "support" but we all are glad we took the class and experienced SCUBA DIVING. A very patient teacher with all levels - especially me the one who doesn't listen. Highly recommend. Dave (and even Kelly) were great. Thanks from NJ. Hope you got the photos. This is a letter I sent to Arnoldo at Patagon Divers at the Ritz Carlton, St. Thomas. Just a short note of thanks for the great experience my son, Tyler and I had diving on Aug. 9th. The crew of Captain Elvis, Tyler and especially Phil did a great job preparing and taking 2 novices out in an open dive. My son was very anxious and I fully expected him to turn back after the initial dive but Phil spend a large amount of time calming him down and getting him involved with the dive. We really had a great time and the dive was the highlight of our trip to St. Thomas. Just wanted to let you know what a special group of employees that you have. Best wishes and already planning our next trip to St. Thomas with a dive. We returned to Caneel Bay again for spring break (mom and two college student sons, the younger is a diver). Booked my son's dives with Patagon at Caneel Bay. He had the same dive master this year, Brian, who is wonderful with him. (My son is autistic.) First dive off the boat, with 4 divers total, one snorkeler, and me as bubble watcher. Lance, the dive master for the other divers, is a sweetheart. Captain George was great company. Second dive was a shore dive off Little Caneel Beach. According to my son, both were great dives, with LOTS of marine life, including an up-close encounter with Caneel's friendly resident barracuda (Barry). I can't say enough good things about Patagon and the staff. From what I've seen, having accompanied my son on 5 dives with them, they are great with both novice and experienced divers, never over-book the dives, and their enthusiasm for what they do is infectious. I have accompanied my son on dives in Puerto Rico, the Bahamas, Hawaii and the Outer Banks, and Patagon is head and shoulders above the rest. Good week with Lance and Austin on shore dives off Caneel Bay. Lance loaned me his camera and I got some good shots. With great appreciation for very special diving adventures that we will remember all of our lives. Can't wait for the next adventure with Arnoldo. Thank you very much! P.S. Thanks for finding the cannon ball! My dad and first dove together - a turtle came up and said hello. Great diving with Arnoldo and Alicia. Can't wait for the next dives. Congratulations on 20 years! My son and I had 4 great dives! The crew was very pleasant and knowledgeable. We enjoyed it very much! Can't wait to come back in April. Arnoldo: Great to hear from you and congratulations on your upcoming 20 year anniversary! It has always been a pleasure diving with you and your staff. I have logged in quite a few dives and passed my Advance Open Water certification with your staff! My wife and I will be back down again in early February, 2012. As has been the case in the past – as soon as I am on the property at the Ritz, I will make a bee-line to the shop to arrange for some 2-tank dive excursions! Congrats on the 20 years! Please give Gary, Christian, and any others I have “blown bubbles with” my holiday regards too! See you in February! 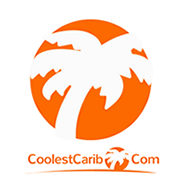 Awesome, safe, comfortable diving experience, fun, helpful staff!!! A fabulous time for our family reunion! Special handling of a large group of experienced and not experienced divers. We have done this two years in a row and the Patagon Dive Center, and the related dives, were and continue to be a highlight of our trip. Great Job! Congratulations to Arnoldo and all the great people at Patagon Dive Center on your 20th Anniversary! 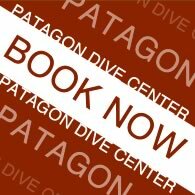 I have been diving at Patagon for several years and have logged over 100 dives with the Patagon team. It was Patagon that brought me back into diving after a 30-year+ layoff and guided me from recertification up through Master Scuba Diver. Their knowledge, professionalism, sense of fun and wonder make the exploration of all the dive sites in and around St. Thomas and St. John a pure joy! I always look forward to returning to our place in St. Thomas, the ritual of those daily dives and seeing the friendly faces at Patagon. I would recommend Patagon Dive Center to anyone - novice, returning and advanced divers alike - you won't be disappointed. The Patagon Dive Center gave our family a spectacular adventure year after year. Their training made us feel highly competent and comfortable, and it enabled us to easily earn our Open Water and Advanced Open Water PADI certifications on the first try. The dives they guided for our family have consistently been exciting and beautiful adventures, always with the highest safety standards and the most professional and courteous service. They are at your service and do everything conceivable (and then some) to make the client feel like a king. Since being certified in St. Thomas, my family has dived all over the world; but there is still no place we love as much as Patagon. Thank you for a wonderful time. Arnaldo+Alicia are amazing and kind! Thanks again! Fabulous DSD Dive! Thanks for instilling a love of diving to our daughter! Looking forward to more Dives w/Patagon at the Ritz! We've diving with Arnoldo & Co. for about 4 years now. He helped certify our 12 years old Zoe. And when Elizo is old enough he'll be his turn too. My husband Jammy and I have being on many memorable dives, including a 8 foot reef shark sighting. First, thank you for a wonderful week of diving. It was nice to dive Congo and Carvel Rock. ;) Second, our discussions about evolution and marine ecosystems were fascinating. Thank you again! Arnaldo & staff, Awesome as always! Makes coming back to the Ritz worth everything. Maybe next time I will get certified. Arnoldo and staff were fantastic! Excellent 2 days of diving. Very skilled, professional and fun. Thanks for a "first class" experience. My friends and I had an incredible time diving with Arnaldo, Brian and crew on our recent trip to St Thomas. On our very first dive we had a pair of dolphins join us for a little fun. A once in a lifetime dive. The crew is courteous, knowledgeable and patient (we had one new diver in our group). This was my fourth trip with them and they always make you feel at home. Best wishes to all at Patagon on their 20th anniversary in business this year. Arnaldo & staff, We had a great time & the staff was awesome! Great as always! 8 years in the running and still seeing new things. Thanks to the Patagon Dive crew for all the great times over the years. Arnoldo was a great guide! Very friendly, knowledgeable of the area. He made the snorkel trip comfortable. He makes you feel like a friend rather than a guest. It is always a pleasure diving with Arnoldo! Arnaldo is the greatest! We have been at the Club since the day it opened and Patagon made all the trips memorable. Stay young and healthy and many more! Eight years of diving with Arnoldo here at the Ritz! Wonderful dive operation and he is a first class person!! Thank you for all the great diving! Loved it! First ocean dive & I'll be back! Go Gophers! Patagon Dive Center is the best! I dive here every year! Best dives, best people, chummy and very enjoyable. I will be coming back. Go Gators! Thank you! Arnoldo, I can't thank you enough! You helped my wife and my mother to take up diving again after 2 years that they gave up diving after a bad diving day in Costa Rica. Ten years diving with Arnoldo and his team at Patagon... by far one of the best dive experiences we've had. Personal service, very accommodating, even personal night dives done with Arnoldo. We never miss an opportunity to dive with Patagon! John & Deanna Braswell Baton Rouge LA Allie Heon & family Wednesday, 19 October 2011 RatingRatingRatingRatingRating	We all had such a great time! 3 awesome dives, got my certification AND saw some sharks! We will definitely be back next year! Thanks so much! Had a great time. Armando was so patient with us, and took some increbile pictures! So glad we dived, we couldn't have asked for a better first experience. Just had a great experience with Brian Kearney at the St. John dive center. He trained 4 members of our family and gave us great instruction and a lot of confidence. He really takes his teaching seriously-wonderful to work with. Yet another fantastic aquatic adventure with Lady Grace and the Patagon team. My son Evan has grown up to the scuba outfit here since he was 10 years old (BubbleMaker). And now he is an Advanced Diver as of today! Thanks for all the great memories for my son and I! I JUST GOT BACK FROM THE RITZ IN ST THOMAS AND PATAGON WAS OUR BEST EXPERIENCE YET! MY GIRLFRIEND AND I TOOK THE DISCOVER DIVE COURSE AND AS FIRST TIME DIVERS THEY MADE US FEEL EXTREMELY SAFE AND TOOK THE TIME TO SHOW US EVERYTHING WE NEEDED TO KNOW ABOUT OUR DIVING EXPERIENCE.WILL DEFINITELY USE THEM AGAIN!!!! Myself and my girlfriend took a PADI course at Caneel Bay.Instructor was Brian Kearney (small world !!!!! ).We had a great time. Can't speak highly enough of Brian and how enjoyable he made the learning part. My girlfriend is French and Brian delivered in 2 languages. The diving was sensational, 3 dolphins (2 adults and a baby) swam past us on our last dive. Thanks to Brian and Captain Lance, we are now converted !!! My wife and I honeymooned here when it was Grand Palazzo, 18 years ago. I did my first dive with Patagon and Arnoldo and it will always be my first and best experience. What a great place to return to time and again and the staff is always so special. We look forward to the next trip! Had an awesome week diving at Caneel Bay. It is such an experience and it is easy to learn and do! The staff was very nice and helpful with everything. I'd do it again in a heartbeat. Thanks everyone! That was an incredible dive! 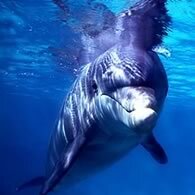 Makes me want to be a marine biologist even more! Thank you for showing me all the cool creatures! I can't wait to get certified! Just finished a week at Patagon, Caneel Bay with our two nieces rcv'ing their OW practical training and 5 dives. The instruction and attention they received was superb. The dives excellent with full knowledge of the dive sites and what they offered. Brian, Lance, Clay & Rob were terrific. If the St. Thomas crew is as good as these guys, I highly recommend diving with them. What an amazing time. Loved every minute of our dive with Rinaldo. Patagon Dive Center rocks! Thanks for the amazing dives! Thanks to Arnoldo, Gary and the whole team. The dives were incredible, the attention and service were the best. We hope to return very soon. Thanks! A wonderful and unforgettable experience! Spent last week at Caneel Bay and went out two days plus night dive with Patagon staff. Lance and Clay did a fine job - good customer focus. Sorry I missed saying Hi to Arnaldo - and congrats to him on wedding of his daughter. I passed on my comments to Caneel Bay management.